The proposed purchase, worth the equivalent of 51.5 billion euros or £46 billion, represents the biggest ever foreign takeover by a Japanese firm. 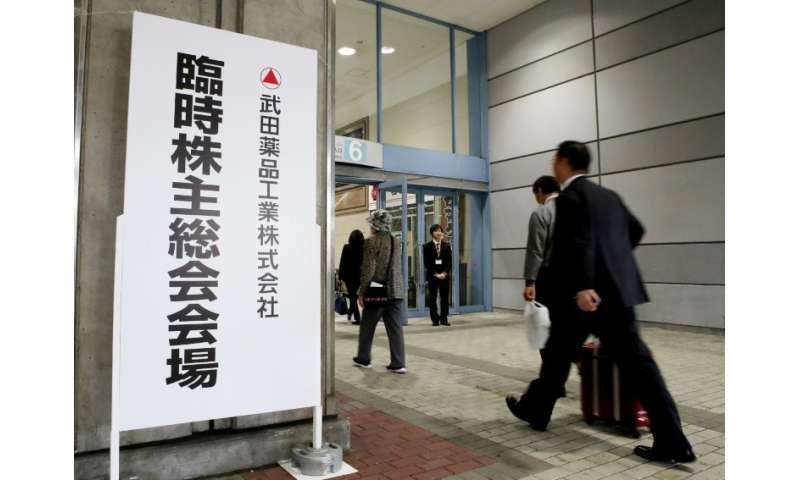 A group of rebel Takeda investors, including members of the founding family, had attempted to thwart the deal but were outvoted at an extraordinary shareholders' meeting held in the western city of Osaka where the company has its headquarters. The scheme was "approved as originally proposed", said a statement from Takeda, adding it should come into effect in early January. But Sengoku noted the price was still down more than 30 percent from around 6,500 yen at the start of the year as investors worried about a dilution of the stock's value due to the planned issuance of new shares.